Art opening reception: Harry Ransom Center presents "Curiouser & Curiouser!" Celebrate Valentine's Day with the Queen of Hearts and the Harry Ransom Center. 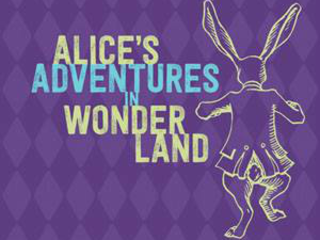 "Curiouser & Curiouser," the opening reception for the exhibit Alice's Adventures in Wonderland, will be an evening of literature, art and adventure. Enjoy wine and "Drink Me" cocktails courtesy of Austin Wine Merchant and Dripping Springs Vodka, a tea party on the plaza hosted by Wright Bros. Brew & Brew, whimsical typewriter poetry by Typewriter Rodeo, a photo booth featuring original illustrations from Alice and much more. Admission is free for members. A limited number of tickets for non-members will be available for purchase beginning on February 2. For more information on becoming a member, visit the Harry Ransom Center website. Admission is free for members; $20 for non-members.